Anyone who plays golf of any kind understands putting is a big part of the game. But surprisingly, most don’t take the time to develop the systematic approach required to produce real, lasting improvement. That’s good news for those who are willing to do so- assuming you’re interested in an advantage that directly translates to lower scores and more fun (because, you know, missed putts = NOT fun). More than any other element of the game, good putting requires a solid, well-developed ‘mental’ game. The first point is important if you play tournaments, leagues, or any other type of competition where scores are accumulated over numerous rounds. You may shoot a hot round (where you’re ‘in the zone’) every now and then, but unless you consistently make a large majority of the putts you won’t consistently score well, regardless of how great the rest of your game is. Everyone can relate to how frustrating it is to have the best drives all round yet end up not having the best score. The second point is the theme that ties together the tips listed below. Players are all different in terms of the physical aspects of putting technique, and what works for one player (grip, stance, form, etc.) won’t necessarily work for the next. Everyone, however, faces the same challenges and can benefit from the approaches addressed below. 1. Practice like you play, and play like you practice. You may have heard this before, but allow me to explain the particular relevance of this maxim to your putting game. When you’re ‘practicing’ your putting, mindlessly throwing discs at a basket in and of itself won’t do much good. In fact, it’s likely to reinforce bad habits. You need to try to simulate a real-round scenario with every putt. Find a way to make yourself believe that something is on the line. Go through the same routine you normally would when playing, and when you’re actually putting in a round on the course you’ll be able to draw upon the confidence you built during practice. That brings us to playing like you practice, which simply refers to telling yourself to do what you’ve proven you can do over and over again in practice. Don’t let your mind get cluttered with thoughts of how important the putt it and what’s on the line: just tell yourself it’s no different than the 12 in a row you hit from the same distance in practice- assuming you were practicing like you play. 2. True practice strokes right before the putt. 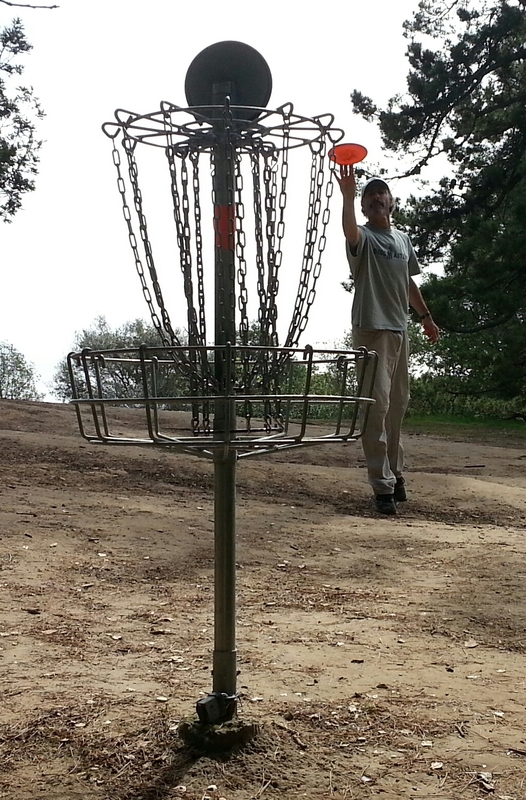 There are plenty of great lessons and techniques that can be borrowed from ball golf and applied to disc golf. This tip (the exception to list in that it is a much a technique as a mental tip) refers to the way ball golfers tend to simulate practice strokes just before the real thing in an effort to nail down the exact tempo they want to use. 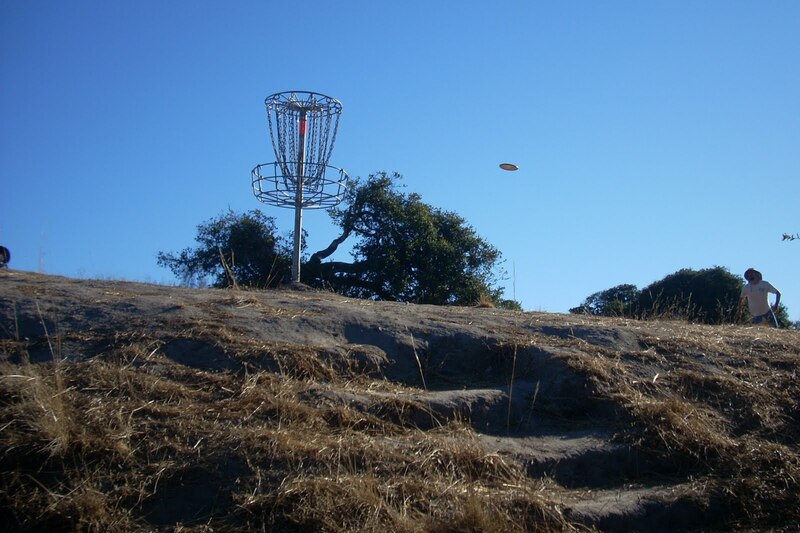 It’s usually not done it disc golf because of the difference between holding onto a club (which is done the same in practice swings as the one that counts) and holding onto a disc (which is obviously different, as we let the disc fly only when it’s time for the real thing). I found a way to get the best of both worlds, and it’s done wonders for my game. To read the details on this one you’ll have to read this previous post, or for more instant gratification check out the video illustration. If you have time, though, read the post as it explains the full benefits of this pre-shot routine. 3. Develop a pre-putt routine, then stick to it. The previous tip is now a big part of my pre-shot routine. I do it every time I putt, without fail, and find it to be a big help in a number of ways. But whether you try it and use it isn’t the important thing in this tip. Everyone is different, and what works for me might not work for you. This tip is all about the importance of having some kind of routine. You’ve probably seen the ‘above the surface’ (visible/audible) parts of others’ routines, like lining up the putt with the disc extended forward at eye level, or taking three deep breaths then stepping up to the mini-marker. These are cues that go along with the really important part of one’s routine- the progression of thoughts going through the player’s mind. Having a set routine is important because better you can stick to a set routine, the less chance fears, doubts, and random thoughts will cause you do do something you immediately regret. Since you only have 30 seconds to execute your shot once it’s your turn to throw, that progression should start as early as possible- as soon as you’re able to size up your situation after your last throw. The first part of this mental routine involves doing all your risk-reward factoring and deciding if you’ll go for it and what type of approach you’ll take. Again, that is ideally all completed before it’s your turn to putt so that once you’re on the clock’ the actual execution is quick and decisive. The rest of your routine is covered in the next tip! 3.5 When it’s time to putt, focus on the process, NOT the ‘value’ of the putt. Having a pre-shot routine is as much or more about NOT thinking the wrong thoughts as it is about thinking the right things. So many things can drift through our brains in high stress situations, and when putting almost all of them are detrimental to making the putt. This is listed as number 3.5 on the list because it’s closely connected to number 3. Part of the reason for having a routine from which you never waver is to help you focus on the process only. If you allow emotional connects to enter your mind, like ‘I need this birdie’ or ‘if I miss this it might roll way down the hill’ or ‘I need to save par here to stay within a stroke of McBeth’ . . . let’s just say good things are less likely to happen. Number two above is a big part of my pre-shot routine, and a perfect example of focusing on the process of executing the putt to the exclusion of everything else. During my practice strokes I visualize making a perfect putt, and go through the exact movements I would for the real putt. Then, when I’m ready for the real thing, it’s as simple as focusing on one link and telling myself the replicate the form and effort I just perfected 3-5 times in a row. I promised you 7.5 tips, and so far you’ve only gotten 3.5 of them. Click here to read the other four tips now!